Ships today if ordered in the next 13 hours and 46 minutes! 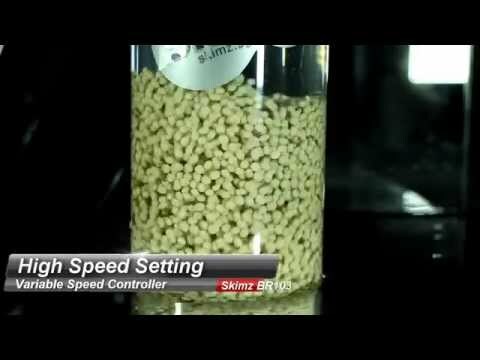 The Skimz BR103 reactor is recommended for aquariums up to 1,000 liters (around 265 US gallons) BR103 is fitted with DC pump, VSC2000-DC (2,000 l/h), and can hold up to 1,000 ml of media. Fine media sponges included for use with carbon and GFO media. Can this be used externally from the sump? These reactors can only be used In-sump only.